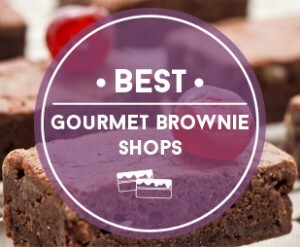 We have done the grunt work for you, and compiled a list of the Top 5 Brownie of the Month Clubs that should satisfy your cravings for these decadent treats throughout the year. To compile this list, we examined a variety of factors including each vendor’s brownie varieties and selections, pricing, customer service and shipping process. We are confident that, like our other top five clubs, this list will help you choose the perfect brownie club. This Ohio-based bakeshop has been bringing us the finest baked goods and gifts since 1981, and they aren’t going anywhere anytime soon. Cheryl’s really has it all—with a wonderful selection of brownie gifts and assortments, a brownie of the month club, offerings for those with dietary restrictions and fun, seasonal themed items. Their 14 flavors cover all of the classics, but also incorporate several one-of-a-kind varieties for the more adventurous lovers of brownies—and we love that they offer sugar-free and gluten-free options for those with special diets. Cheryl’s six and 12-month club membership options, with a delicious assortment of ten gourmet brownies delivered to your door each month is really just the icing on the cake. Cheryl’s monthly gift club ranges in price from $19.99/month for 6 months to $21.99/month for 12 months. Their brownie gifts and sets range in price from $24.99 for a set of 24 brownie bites to $134.99 for a 90 count of create your own brownie packs. Curious about the monthly club flavors? Cheryl’s has a detailed list of the seasonal flavors you can expect in each monthly delivery. Order Now and Take 15% Off! This small New England bakery has been creating the highest-quality gourmet brownies and gifts since their humble beginnings in 2008. They only use the finest ingredients from local sources, and create all of their baked goods in small batches. Their brownies and gift sets include individual sizes, larger boxed sets and samplers—with something for every price point and budget. We love that in addition to their wide selection of classic and one-of-a-kind brownie creations and gift assortments, the Vermont Brownie Company also offers a monthly subscription, which can be customized for three, six or twelve months in quantities of a dozen or half dozen. Vermont Brownie’s club membership starts at $79.99 for six brownies for three months and tops off at $479.99 for 12 brownies for a year. Their brownies and sets range in price from $4.00/each up to $236.00 for a gift pack. Questions about nutritional information? This vendor’s useful FAQs page should answer most of your questions and concerns. 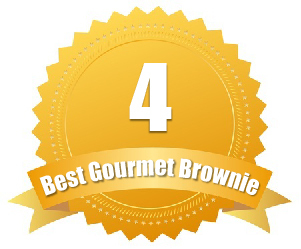 Although this vendor does not offer brownies and gift sets outside of their club like other vendors we reviewed, we had to include them on this list because of their incredible adaptable Brownie of the Month Club! We love that Clubs Galore’s Brownie of the Month Club can be purchased for any amount of months ranging from three months to a year. This way the customer can purchase exactly what they want. Another perk of this highly-customizable club, is that members can choose the delivery schedule that they need, with options including monthly, every other month and every third month. This way if you are traveling or out of town, you will never have to worry about missing a delivery. Clubs Galore also lets customers choose to pay up front or over the course of the membership on a monthly basis—a nice option for those of us on a tighter budget. Membership of this club starts at $34.99, and can be paid for on a monthly basis or all at once depending on your preference. Shopping for a last-minute gift? Clubs Galore lets you email or print out a certificate to give immediately—no need to wait on the postal service. This bakery has something for just about every budget and every diet. 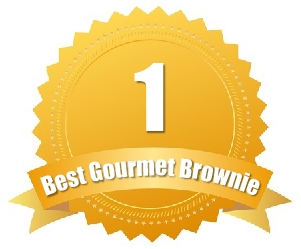 We love that Dancing Deer is not only Kosher certified, but also has a variety of gluten-free brownie options—something many other vendors do not offer. Another perk of this bakery is their multiple club membership options. In addition to their six and 12-month customizable brownie club subscriptions, they also offer both a six and 12-month cookie club, as well as a gift of the month club—which lets customers sample a variety of their baked goods and brownies. If you are shopping for a one-of-a-kind birthday gift, Dancing Deer’s unique birthday gift club is an excellent option—showering the recipient with brownies and other baked goods throughout the year. Worried you won’t be able to eat them all? This vendor’s monthly deliveries are ideal for sharing with family and friends. Started out of a family kitchen, this once small bakery has now expanded—offering nationwide delivery so that we can all enjoy their delicious brownies and treats! 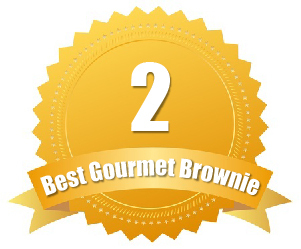 Although this bakeshop does not offer a brownie of the month club, they do have a brownie for just about everyone in your life! Brownie Points offers over 20 traditional and one-of-a-kind flavors, with classics including chocolate fudge and caramel sea salt and more unique flavors including pineapple right-side up cake and caramel apple. Another perk of this diverse bakery is that all of their baked goods are Kosher-certified. 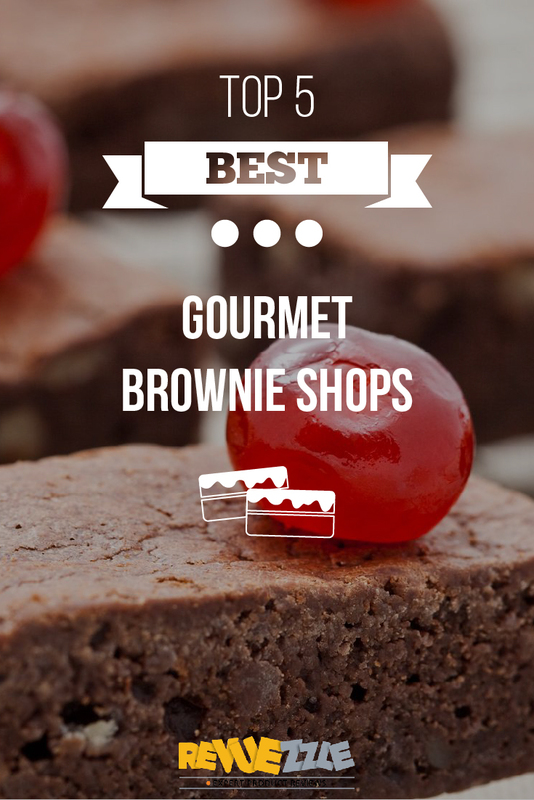 They also carry a variety of gourmet, gluten-free brownie options. Individual brownies are available for purchase for $1.25 to $3.25, while assortments range in price from $13 to $212.00, with something for every price point in the middle. Looking for a breakfast treat? 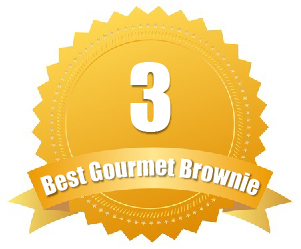 Be sure to try Brownie Points’ assortment of breakfast brownie flavors. Yum! Brownies for Breakfast!